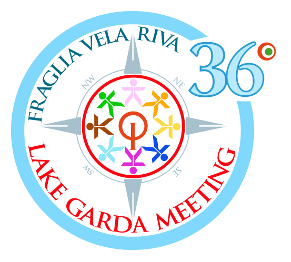 Fraglia Vela Riva is proud to organize the 37th edition of the Garda Optimist Meeting, an event dedicated to Optimist youth sailors, held in April 2019 at Fraglia Vela Riva in Italy. This Guinness World record breaking event, classified as the largest single-class regatta in the world, is as exciting on land as well as on the water. Over 1300 Optimist boats from more than 30 countries take part in this unique and unforgettable event. Our 8 Days a Week coaches are looking forward coaching you before and during this mayor event! Check out our 29er clinic in Garda and Laser clinic in Malcesine at the same time! Over the past few years we had sailors from multiple countries participating. For example: Belgium, Netherlands, France, United Kingdom, Spain, Ireland, Finland, Sweden, Norway, Malta, United States of America, Hong Kong, Sint Lucia, Bermuda, Canada, Australia, … We’re looking forward to coach you! Please register below, keep in mind that we have limited spots, first come, first serve. Here you can also find our general terms. Prices are per sailor and 2 sailors per boat are required to enter.